Frank Ramsey's parents were Arthur Stanley Ramsey and Agnes Mary Wilson. Arthur Ramsey was President of Magdalene College, Cambridge, and a tutor in mathematics there. Frank was the oldest of his parents four children. He had one brother and two sisters and his brother Michael Ramsey went on to become Archbishop of Canterbury. Ramsey entered Winchester College in 1915 and from there he won a scholarship to Trinity College, Cambridge. He completed his secondary school education at Winchester in 1920 and he entered Trinity College, Cambridge, to study mathematics. At Cambridge, Ramsey became a senior scholar in 1921 and graduated as a Wrangler in the Mathematical Tripos of 1923. After graduating, Ramsey went to Vienna for a short while, returning to Cambridge where he was elected a fellow of King's College Cambridge in 1924. It is worth noting that this was a most unusual occurrence, and in fact Ramsey was only the second person ever to be elected to a fellowship at King's College, not having previously studied at King's. 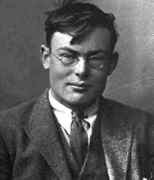 Although Ramsey was a lecturer in mathematics, he produced work in a remarkable range of topics over a short period. As well as starting up the new area of mathematics now called 'Ramsey theory', which we say more about below, he wrote on the foundations of mathematics, economics and philosophy. ... certainly not self-evident and there is no reason to suppose it true; and if it were true, this would be a happy accident and not a logical necessity, for it is not a tautology. His second simplification is to suggest simplifying Russell's theory of types by regarding certain semantic paradoxes as linguistic. He accepted Russell's solution to remove the logical paradoxes of set theory arising from, for example, "the set of all sets which are not members of themselves". However, the semantic paradoxes such as "this is a lie" are, Ramsey claims, quite different and depend on the meaning of the word "lie". These he removed with his reinterpretation that removed the axiom of reducibility. Brouwer would refuse to agree that either it was raining or it was not raining, unless he had looked to see. ... a meaningless game with marks on paper. The celebrated paper of Ramsey [in 1930] has stimulated an enormous study in both graph theory ..., and in other branches of mathematics .... Most certainly 'Ramsey theory' is now an established and growing branch of combinatorics. Its results are often easy to state (after they have been found) and difficult to prove; they are beautiful when exact, and colourful. Unsolved problems abound, and additional interesting open questions arise faster than solutions to the existing problems. Ramsey's enduring fame in mathematics ... rests on a theorem he didn't need, proved in the course of trying to do something we now know can't be done! ... derives measures both of desires (subjective utilities) and of beliefs (subjective probabilities), thereby founding the now standard use of these concepts. In economics, Ramsey wrote two papers A contribution to the theory of taxation and A mathematical theory of saving. These would lead to important new areas in the subject. ... in general philosophy took more and more of his attention. For profitable thought in this most difficult field Ramsey was superbly equipped, and there is no doubt that his early death has deprived the world of one of its most promising philosophers. One would have to say, however, that Ramsey's work in philosophy has been somewhat overshadowed by that of Wittgenstein. Recently, however, Ramsey's work in philosophy seems to be receiving more attention. As a person, no less than as a thinker, Ramsey was an ornament to Cambridge. From his undergraduate days he had been recognised as an authority on any abstract subject, and his directness of approach and candour were an inspiration to his associates. His enormous physical size fitted well the range of his intellect, and his devastating laugh suited his power of humorously discarding irrelevancies, which power enabled him to be both subtle and profound in the highest degree. He was a quiet, modest man, easy going and uninhibited, with a loud infectious laugh, his tolerance and good humour enabling him to disagree strongly without giving or taking offence; as with his brother Michael ... whose ordination ... Frank, as a militant atheist, regretted. He was tall (six feet three inches) and bulky, short-sighted, wore steel-rimmed spectacles and appeared clumsy but was in fact a good tennis player. He produced his remarkable output in four hours a day - he found it too exacting to do more - in the mornings, with afternoons and evenings often spent walking or listening to records. He listened a lot to classical music, both live and recorded, and was a keen hill-walker. There was no one in Cambridge among the younger men who would be considered his equal for power and quality of mind, and also for the boldness and originality of conception in one of the most difficult subjects of study. Ramsey suffered an attack of jaundice and was taken to Guy's Hospital in London for an operation. He died following the operation.